Spring is in the air, and a new vegetable garden is at the White House. 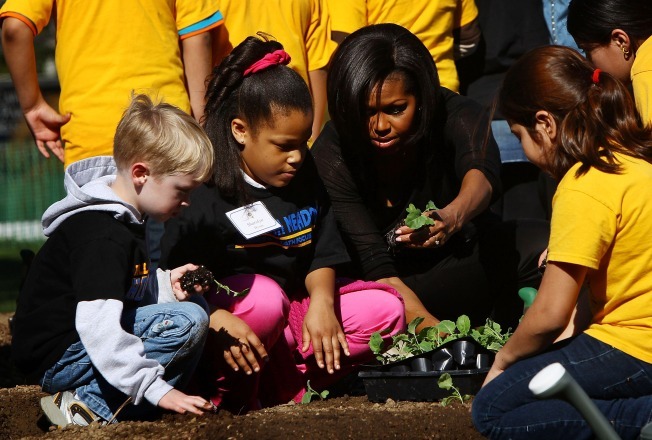 For the second year in a row, first lady Michelle Obama enlisted the help of local elementary school students to plant broccoli, rhubarb and other veggies on the South Lawn. Kids from Bancroft Elementary School in Northwest, along with students from Hollin Meadows Elementary School in Alexandria, Va., joined the first lady in getting their hands dirty Wednesday. "It’s getting a little hot now," she told them, "but it’s good digging in the dirt, getting a little dirty, getting dirt under your nails." Obama said that 1,000 pounds of food were harvested from the first garden on the South Lawn, feeding White House visitors, as well as people at nearby homeless shelters. And good food wasn't the only fruit of that labor. The garden started a national conversation about healthy eating, she said. 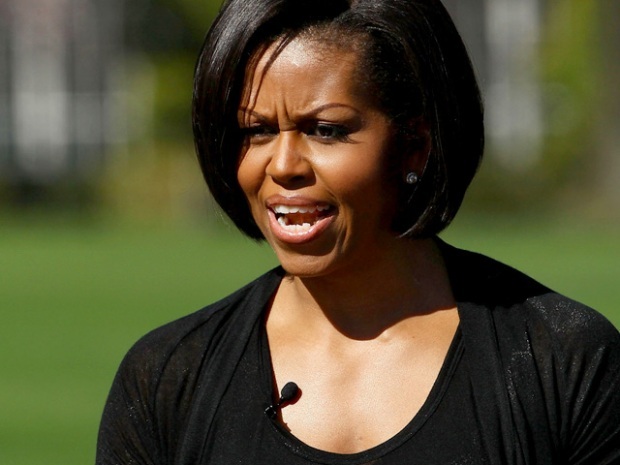 "Everybody is talking about that garden, not just here in Washington, not just here in the United States, but all over the world," the First Lady said. "And we've been able to start thinking about things like getting kids to try new foods that they've never tried, vegetables that they've never had." This year's White House garden has expanded 400 square feet to a new total of 1,500 square feet and will have four new additions: bok choy, white cauliflower, artichokes and mustard greens.